This is brilliant it's so much quicker and easy to use that ones with straps. If you have. To correct size suit you don't have to worry about the protector moving anywhere I love it. Brought the item for my son, well made product and fits well under his leathers. A genuine Dianese chest protector at the cheapest price I could find anywhere online at the time. It was delivered within a couple of days, and fits well. It was well packaged and clearly a brand new item, ensuring no damage could be done in transit. The customer service system seems genuine and robust, even though I didn't have to use it. I haven't actually crashed using this so my review is based purely on fitment and comfort. Fits well in both my Dainese jackets. I have a textile size 50 and a leather size 52 and weirdly it's a tighter fit in the 50. Makes your chest look very odd but protection is more important then looks. Feels very substantial. Very comfy, moulds to my moobs perfectly! Quality, extra bit of protection at a reasonable cost I think. 3 layers on this protector makes it rigid, elastic and breathable at the same time. Inner layer takes your body shape and gives you comfort whilst mid layer allows the air through and also absorbs impacts that comes from the third layer and minimalize it. The third layer blocks the impact and provide great stability with its material composition. Definitely recommended! I have used it for race purposes, I wouldn't want to use it all day long on roads, but when tucked inside leathers I don''t notice it being there. 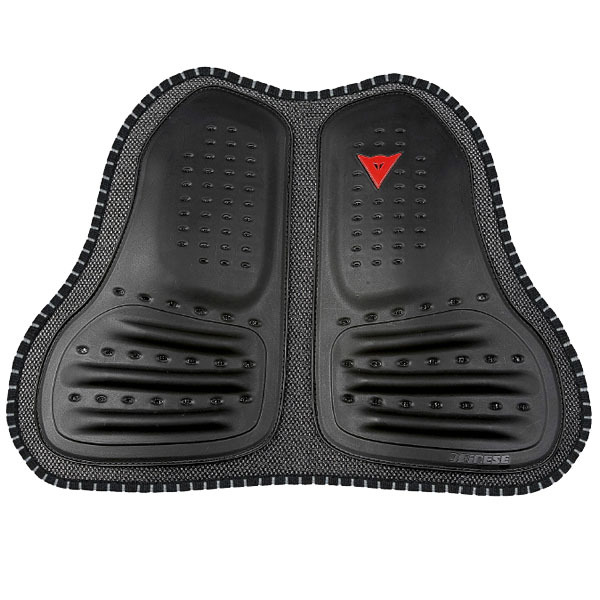 Feels a lot stronger than other chest protectors. The rubber strips on the back help to keep it in place as well. A nice bit of kit that protects my thorax well but not as comfortable under the jacket as I would like it to be. Maybe it takes time to mold to one's body shape.